Call for price and availability - 907-456-4991. 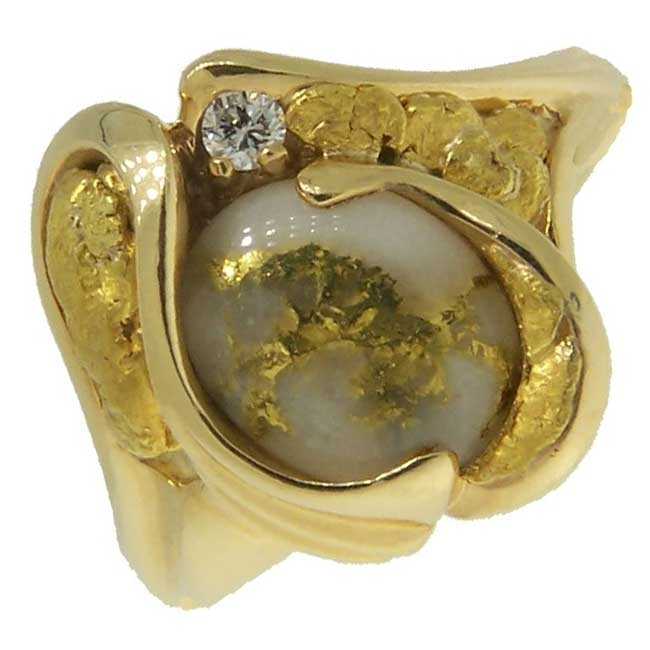 Gold Quartz set with Diamonds and Alaskan Gold Nuggets on the side in stunning 14kt Yellow Gold. Call for price and availability 907-456-4991. 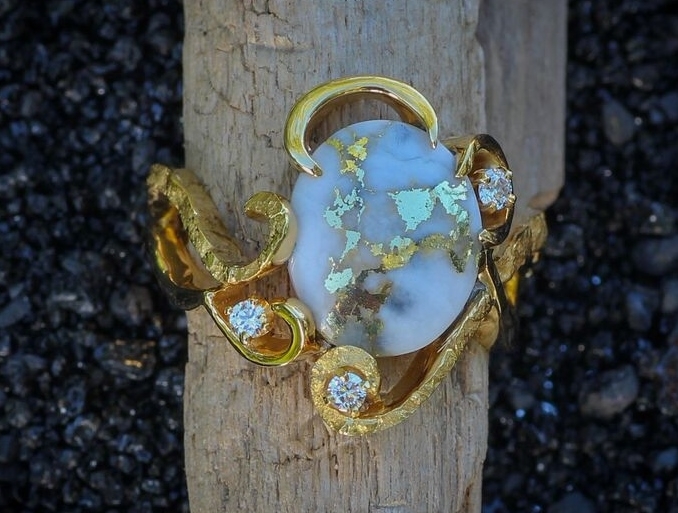 Gold Quartz with Alaskan Gold Nugget and a Diamond creating an elegant look. Call for price and availability 907-456-4991. 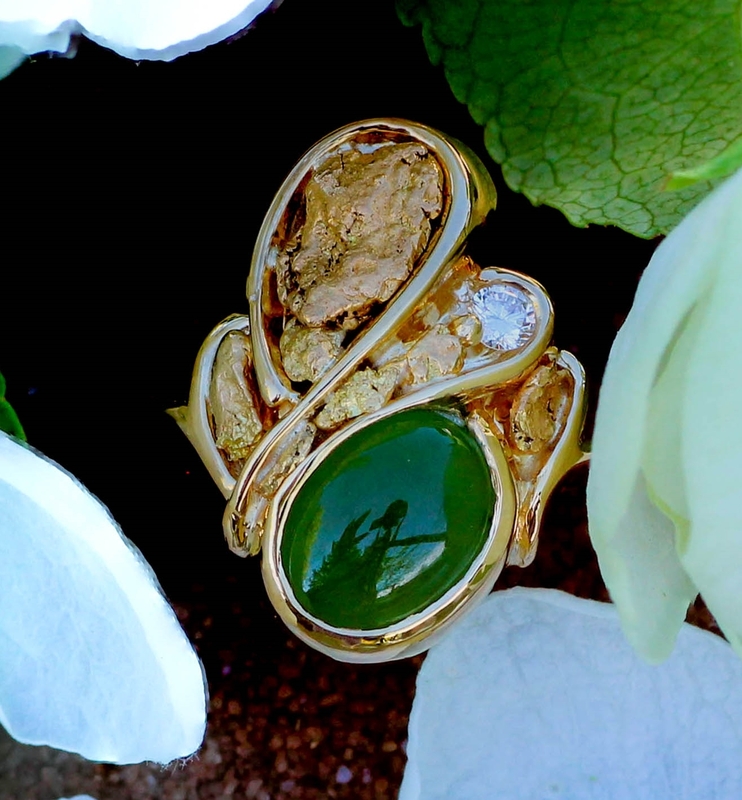 Jade impressively designed with Alaskan Gold Nuggets set in a 14kt Yellow Gold ring. 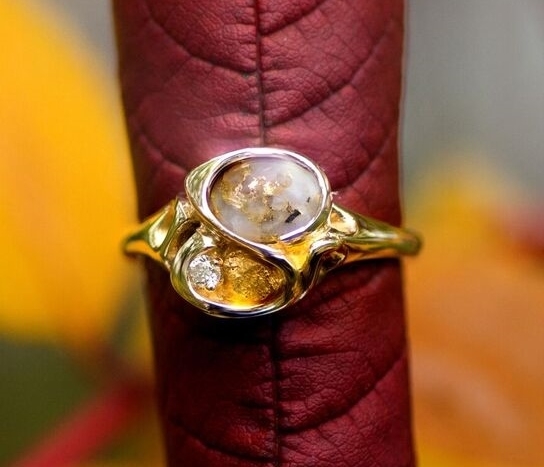 A gorgeous Gold Quartz stone set with Alaskan Gold Nuggets and a Diamond in 14kt Yellow Gold ring. 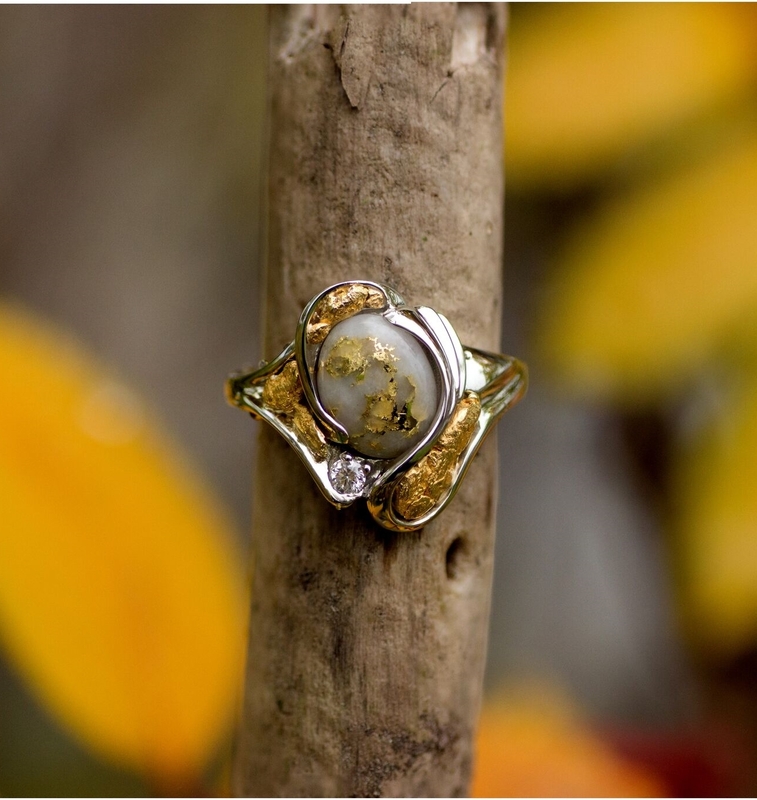 A gorgeous Gold Quartz stone set with Alaskan Gold Nuggets and a Diamond in 14kt White Gold ring. 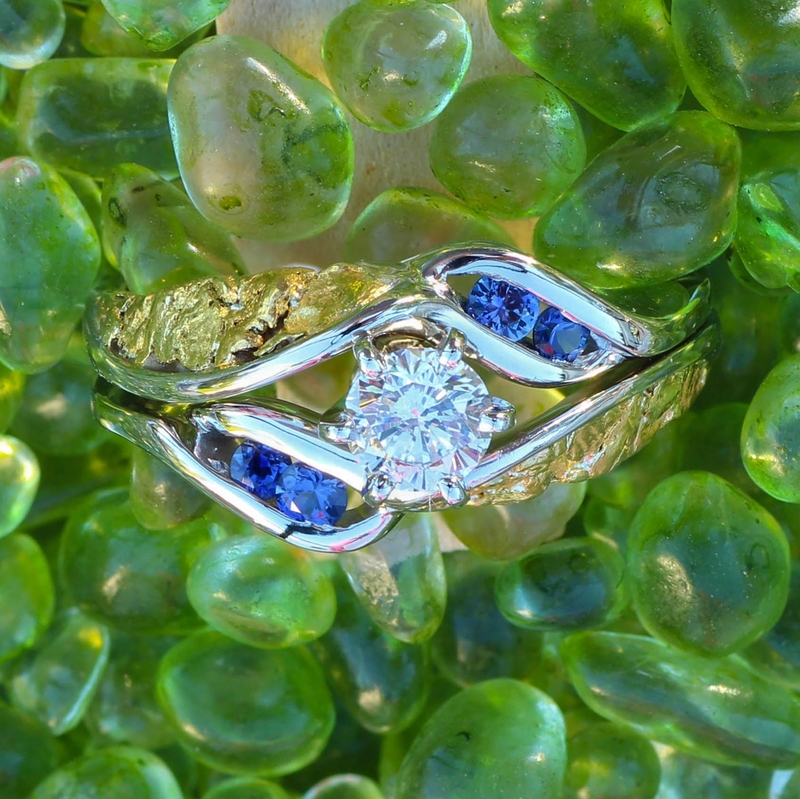 Fancy Alaskan Gold Nuggets and a beautiful Diamond center stone elegantly arranged with Sapphires in 14kt White Gold. Call today for price and availability 907-456-4991. 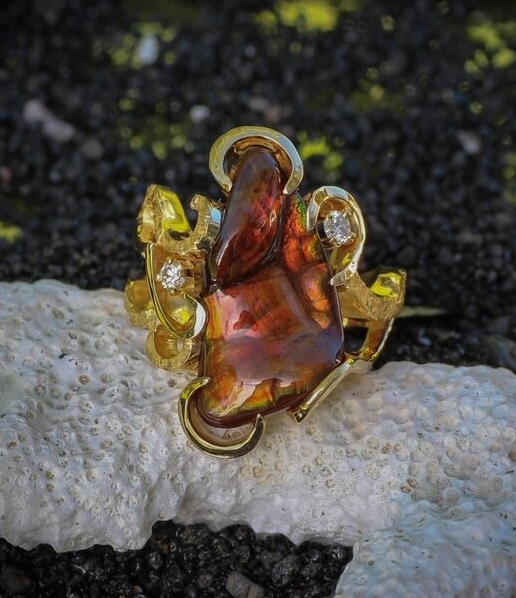 Alaskan Gold Nuggets and Fire Agate in 18Kt Yellow Gold ring. Call for pricing and availability: 907-456-4991. 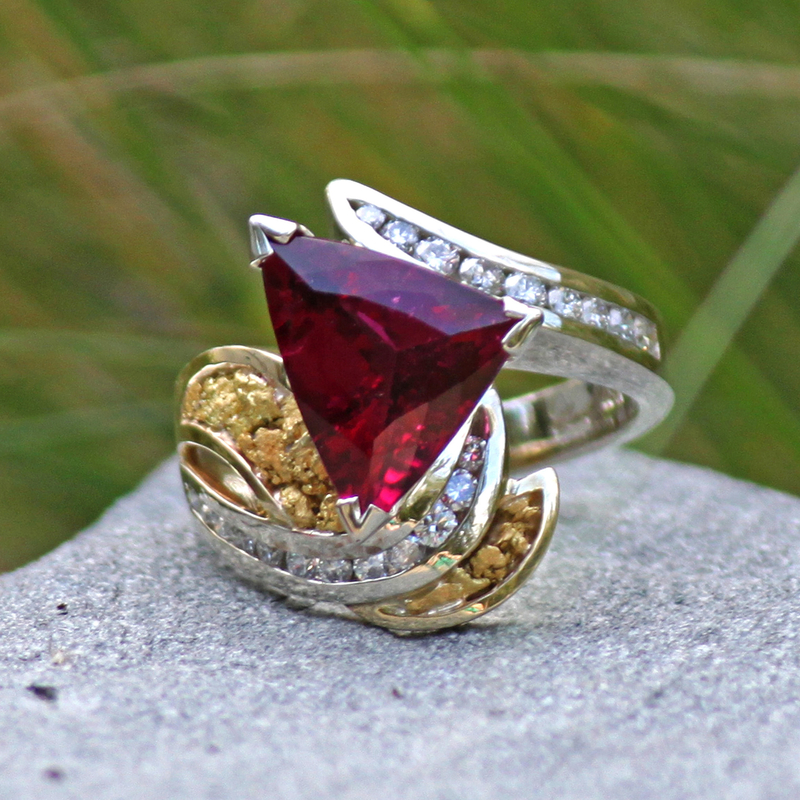 A gorgeous Alaskan Gold Nugget with Ruby and Diamond Ring. Call for pricing and availability: 907-456-4991. 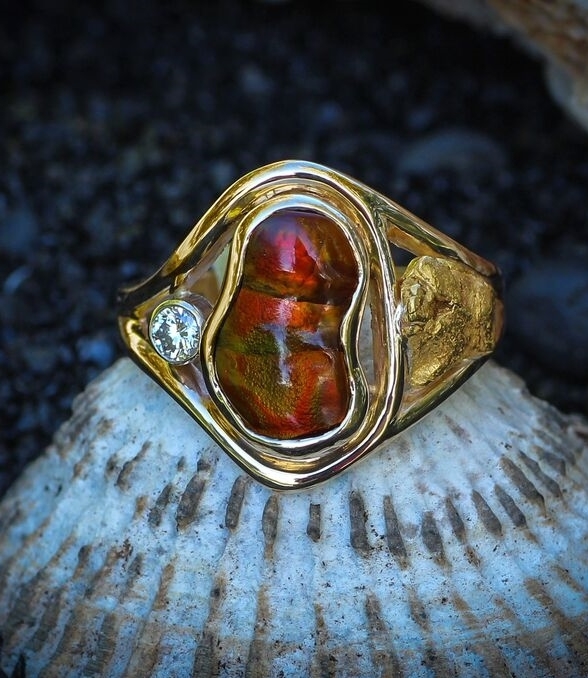 Fire Agate, Diamond, and Alaskan Gold Nugget Ring. Call for pricing and availability: 907-456-4991. 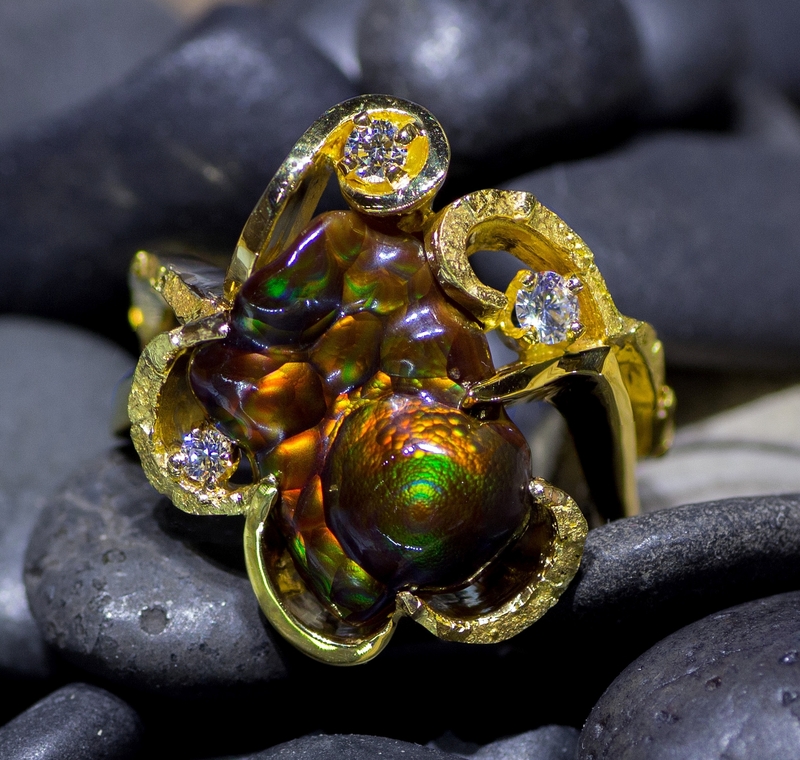 Fire Agate, Diamonds, and Alaskan Gold Nuggets Ring. Call for price and availability - 907-456-4991. 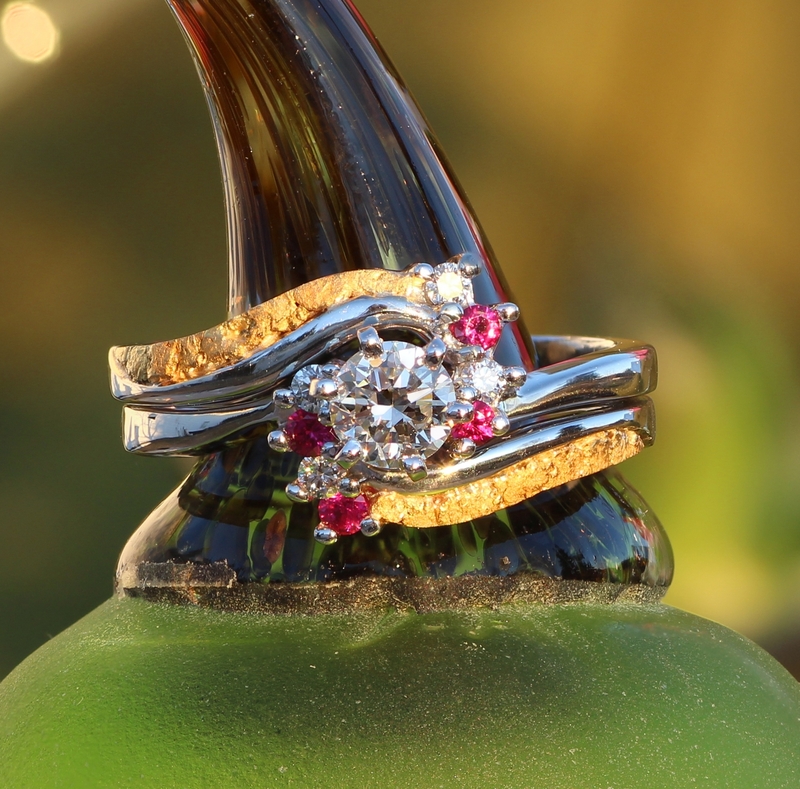 Intricate design features alternating pairs of Diamonds and Rubies accompanied with Alaskan Gold Nuggets. 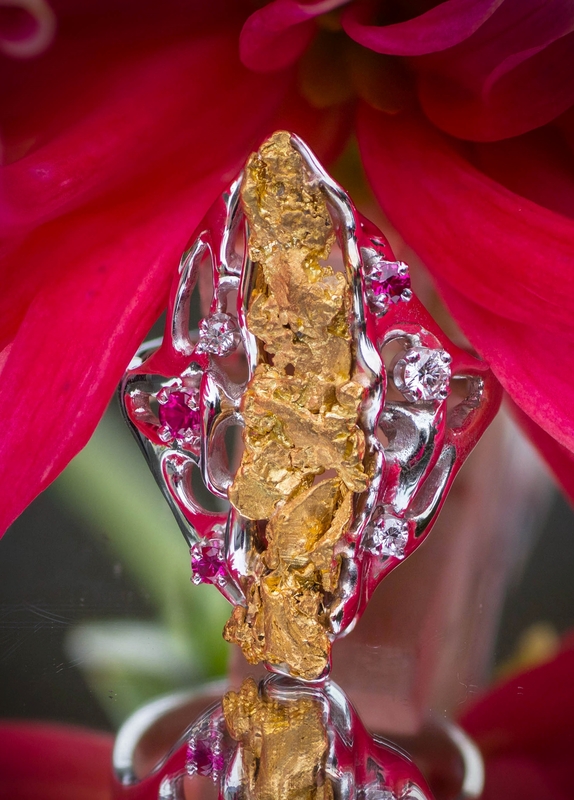 Spectacular Rubilite Center Stone with 16+ Diamonds and a plethora of Alaskan Gold Nuggets in an exotic style 18k two tone Gold Ring. Fancy Alaskan Gold Nugget side stones and a beautiful Diamond center stone elegantly arranged with 6 Rubies in 14kt White Gold.